Find your inner peace in the midst of Mother Nature’s tranquil beauty. Khao Kheow Open Zoo welcomes tourists from across the world to visit and enjoy Thailand’s best Zip Line tours. Thailand generates heavy revenue from its tourism destinations and most loved activities are shopping in the flea markets, sparkling posh hotels, night clubs, historical architectures and wildlife adventures. Flight of the gibbon is the best zip line tour from Khao Kheow Open Zoo. This Zipline of Khao Kheow is one of world’s largest jungle canopies, which is stretched across three kilometers of wire. The view from this magnificent zip line is simply mesmerizing as you hear bird chirpings; smell of beautiful flowers and lush green woods, with the random sounds of wild species and birds adds an enchanting feel for the visitors. From the jungle scenes visitors can spot incredible birds, animals and trees from reasonably enjoyable height. 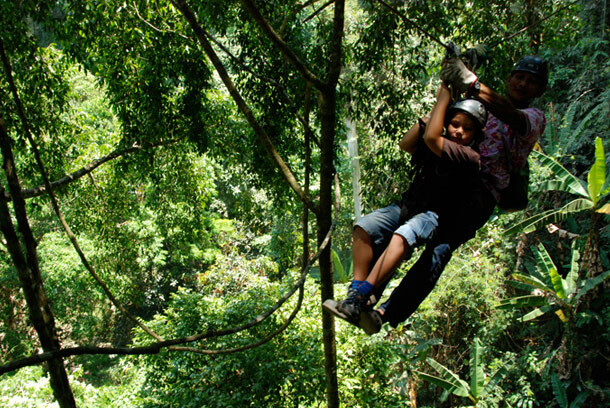 Fun, excitement and adventure never stops when you are exploring your journey to the jungle from Khao Kheow Open Zoo. 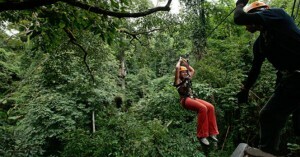 Our trained and experienced sky rangers guides and prepares visitors with their years of Zipline adventure experience.